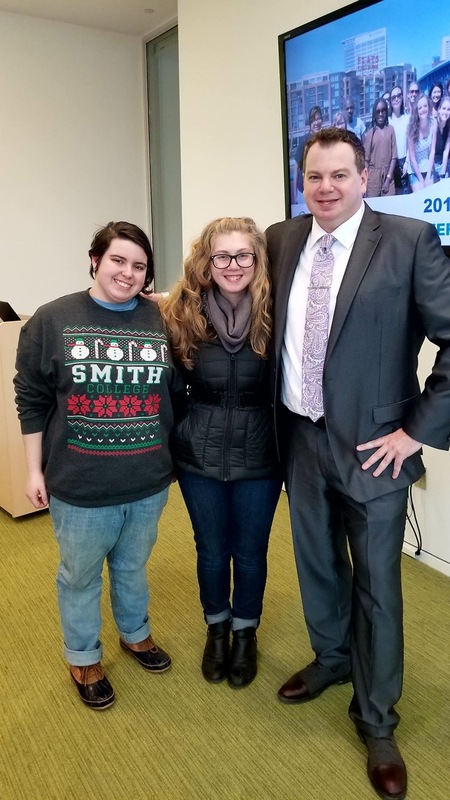 Since 2005, the club has helped bring Smith interns to greater Cleveland for enriching summer internships through the Summer on the Cuyahoga program. Alumnae hosts help orient and guide interns throughout their stay and act as both personal and professional mentors. To learn more about how to get involved, contact Marjorie Roth. To donate to the club’s Summer on the Cuyahoga fund, click here. Alumnae are invited to join SOTC interns at a few select events. Please contact Marjorie if you wish to attend any of the alumnae-approved events indicated in the SOTC 2018 Calendar. For more information on the program, visit summeronthecuyahoga.com. 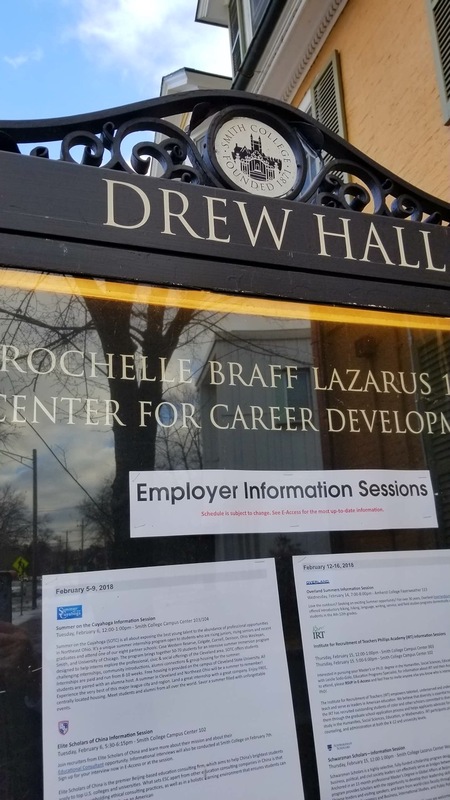 On Februrary 06, SOTC’s new Executive Director, Eric McGarvey, joined SOTC alums at the Smith Campus Center to educate potential Smith applicants about the program. The session had a strong turnout, with over 35 Smithies in attendance. ED McGarvey presented an overview and showed a video about the program. 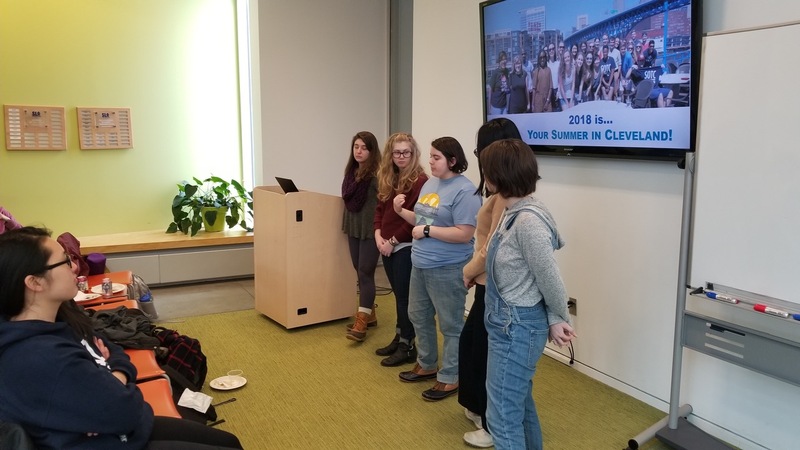 All five Smith SOTC alums on campus presented, sharing their intern experiences, love of Cleveland and appreciation of support from Cleveland Smith alumnae. 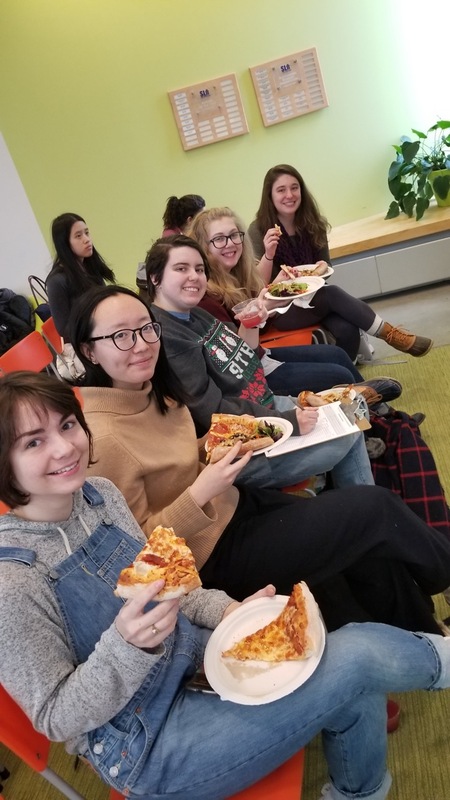 Smith SOTC alums in attendance included Natalia Perkins ’19, Yi Sunnie Ning ’18, Natalie Weiss ’18, Abigael Stephens ’18 and Yvonne Van Leuven ’18. Jason Bauer-Clapp of the Smith Lazarus Center of Career Development and Pam McNulty of the Smith Development Department also attended. Renee Murray brings a wealth of experience, energy, and enthusiasm that will serve her well as Summer on the Cuyahoga’s new Assistant Director. A Toledo native, Ms. Murry is a graduate of Adrian College where she studied communications with a double minor in journalism and sports management. While there, she was a member of the AC Dance Team, Executive Editor of the Adrian College Newspaper and hosted a radio show. Prior to coming to Summer on the Cuyahoga, Renee gained experience working in non-profit with the YMCA of Greater Toledo and Humane Ohio. Renee serves on the Board of Directors for Madison Avenue School for the Arts and Issue Box Theatre, both in Toledo. 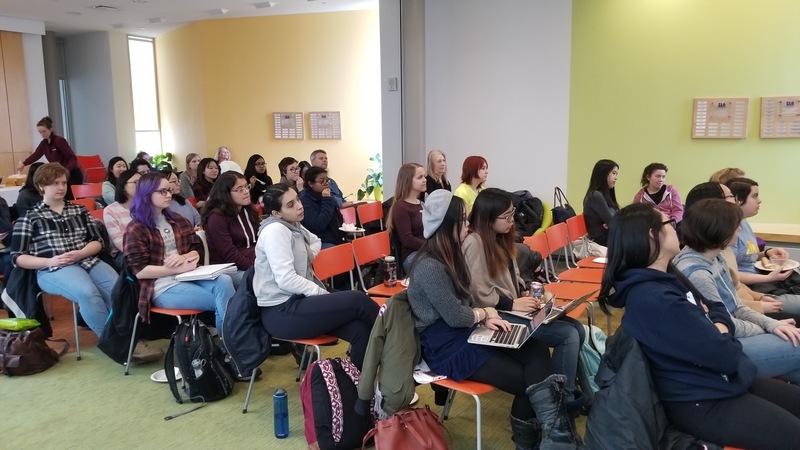 Renee’s experience also includes working in higher education with Student Activities in the Office of Student Life at The Ohio State University. In her role, Renee worked with OSU’s three student governments on grants, event planning, travel and purchasing. While in Columbus, Renee served as the Vice President of YES Columbus, a volunteer branch of Dress for Success. Renee plans to pursue both a Masters and JD in the future. Renee’s experience also includes her “fun jobs” working in the sports and entertainment industries. She has worked for teams such as the Detroit Red Wings, Columbus Blue Jackets, Detroit Pistons, Cleveland Indians and minor league teams for a combined 11 seasons. She also assists on large-scale productions and the traveling fundraiser, Magic Gives Back. In her free time, Renee enjoys designing websites, kayaking, exploring Cleveland’s parks with her dogs and completing her goal to visit every MLB stadium. She also enjoys volunteering in the arts community and hosts a podcast aimed at the millennial generation.